Anaïs Nin (Spanish: [anaˈis ˈnin]; born Angela Anaïs Juana Antolina Rosa Edelmira Nin y Culmell; February 21, 1903 – January 14, 1977) was an author born to Cuban parents in France, where she was also raised. 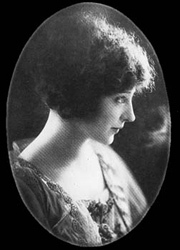 She spent some time in Spain and Cuba but lived most of her life in the United States where she became an established author. She wrote journals (which span more than 60 years, beginning when she was 11 years old and ending shortly before her death), novels, critical studies, essays, short stories, and erotica. A great deal of her work, including Delta of Venus and Little Birds, was published posthumously. One of my favourite authors, Anais Nin wrote of dreams and the communication through signs and symbols of the human psyche. Her work is defined by a poetic and universal reality.There are enigmas and mysteries. Her world is peopled by individuals and she finds their reality by observing and not by analytical procedures. Anais was much more in touch with European poetry than American realism. Lillian’s recurrent dream of a ship that could not reach the water, that sailed laboriously, pushed by her with great effort, through city streets, had determined her course toward the sea, as if she would give this ship once and for all, its proper seabed. What I wanted to teach you is contained in one page of the dictionary. It is all the words beginning with ‘trans’: transfigure, transport, transcend, translucent, transgression, transform, transmit, transmute, transpiret and all the trans-Siberian voyages. Since I first discovered Anais Nin I have collected all her work. Her diaries can be dipped into and beautiful words are always found. Words that link together into sentences that show us how to live. The artist’s life. Anais lived for many years in Silver Lake, a residential neighborhood in Los Angeles, California. She was married to Rupert Pole, magnetically handsome, who was first an actor and then became a forest ranger. He was Anais Nin’s California husband. She had a New York husband, Hugh Guiler, whom she always called Hugo, and had married when she was very young. The pool is steaming like those pools in the mountains of Japan, everything through glass, through prisms, the amethyst water squires a different dimension, it enlarges itself, its colours: it is so beautiful. My friend designed a very beautiful diary book, handmade, with soft Japanese rice paper and in gold on the red leather cover, my handwritten diary signature: “Mon Journal–Anais Nin”. I was determined that no illness would be recorded in this diary. So I decided to make it a diary of music. I will only write in it when the musicians come, when I hear music. And it will be a separate part of my life. Anais Nin sort luminosity and the quality of phosphorescence in her work. I have always loved fairytales and her work is made up of fables and signs and omens so I relate to it and understand the power of these things: the labyrinth in which one loses oneself and with luck finds the way through, the boat that is pushed through city streets to the sea. Her work possesses a magnetic quality I am drawn to and reread often. What better books to have in my life but hers. “Anaïs, I don’t know how to tell you what I feel. I live in perpetual expectancy. You come and the time slips away in a dream. It is only when you go that I realize completely your presence. And then it is too late. You numb me. This is a little drunken, Anaïs. I am saying to myself “here is the first woman with whom I can be absolutely sincere.” I remember your saying – “you could fool me, I wouldn’t know it.” When I walk along the boulevards and think of that. I can’t fool you – and yet I would like to. I mean that I can never be absolutely loyal – it’s not in me. I love women, or life, too much – which it is, I don’t know. But laugh, Anaïs, I love to hear you laugh. You are the only woman who has a sense of gaiety, a wise tolerance – no more, you seem to urge me to betray you. I love you for that. I absolutely love it. It has to be high on my list of favourites, bringing back memories of my childhood in our little flat in Littlehampton when Mum used to work miracles in what was a landing (or free space area) converted into a little kitchen, where two was a crowd. I don’t think our kids know what an apron is. The principal use of Grandma’s apron was to protect the dress underneath because she only had a few. It was also easier to wash aprons than dresses and aprons used less material. But along with that, it served as a potholder for removing hot pans from the oven. It was wonderful for drying children’s tears, and on occasion was even used for cleaning out dirty ears. From the chicken coop, the apron was used for carrying eggs, fussy chicks, and sometimes half-hatched eggs to be finished in the warming oven. I will continue the history of aprons next week. The song is one of my favourite poems. This is a description of the home of Anais Nin and Rupert Pole in the hills of Silver Lake, near L. A. A glass- and-concrete house on a hilly Silver Lake street. Eric Lloyd Wright, a third-generation architect designed the house for his half-brother Rupert and Anais. In the sixth volume of her Diary, Anais described the one-storey dwelling perched above the city as ‘one large studio, no separate, small partitions. It had the sense of space of Japanese houses; it had the vista of a Japanese screen, all sky, mountains, lake, as if one lived out of doors. Yet the roof, held by its heavy beams, gave a feeling of protection while the big windows which separated the roof from the studio framed the flight of birds, the sailing of clouds.’ What I love most is the feeling of light and space that Anais writes about in their home. And there’s a small interior Japanese garden cut into the floor near one of the glass panels of the living room wall, where Anais would etch swirls in the sand with a small hand shovel. The stone fireplace, she wrote, was ‘like that of a castle’. There was a grand piano and packed bookshelves. I read recently ‘WAS’ is a passive word. Do not let anyone tell you it is. ‘WAS’ is infrequently passive, and is a part of good English. It is a wonderful verb. If it suits your story use it freely. English is fun. It is a flexible language for telling stories.